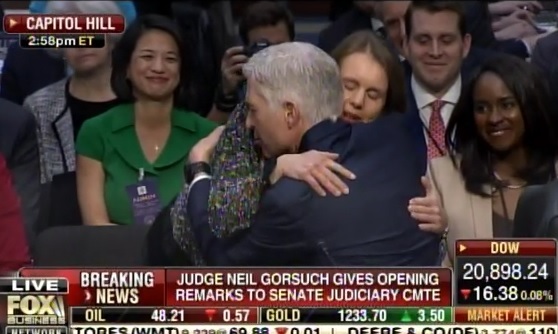 Donald Trump Supreme Court nominee Neil Gorsuch interrupted his opening statement to turn his chair and rcach out and hug and kiss his wife Louise. It was a very touching moment. And it likely went over well with most Americans.